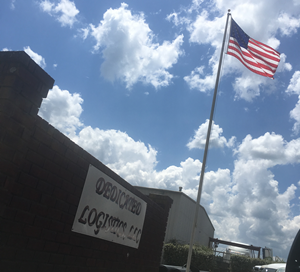 Welcome to Dedicated Logistics, LLC. Dedicated Logistics is a non-hazardous freight carrier with a 48 state contract and broker authority. Our primary lanes of operation are the South and Southeast to and from the Mid-West. Our secondary lanes are from South and Southeast to Northeast and Western States. In todays market you have to be very competitive, consistently deliver on time and support your customer to the fullest and that is what we at Dedicated Logistics strive to do. We place a heavy emphasis on employing professionals to provide our customer with the best possible customer service in the industry. At the Arkansas Trucking Association’s Annual Convention today, May 16th, 2018; one of our Owner Operators , Eddie Granger, was presented the award for 2017 Driver of The Year. The Arkansas Trucking Association presents this award annually to a driver whose professional qualifications, experience, and performance are noteworthy. Eddie has been driving 41 accident free years. He has been and Owner Operator leased to Dedicated Logistics for the past 13 years. Eddie has always been known as a team player. We’ve had many of Eddie’s fellow drivers comment on how he has reached out and helped them when they were in need. We have had numerous positive comments over-the-years from several of our customers regarding Eddie’s professionalism, and quality customer service. Please congratulate Eddie on this achievement when you see him! Click here to watch the award video!